Greggs lunch at the desk on a busy day | Wearing dad’s old jumper | Dr Martens | His and hers Advent Calendars | Toby not impressed that I was having a lie in | Outfits ready for the Dr Martens style challenge | Before | After! 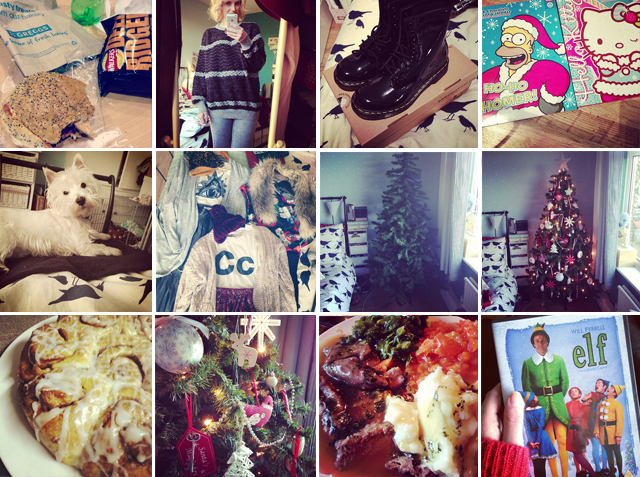 | Cinnamon Rolls | Pretty tree decorations | Sunday Roast | Watched the best Christmas film EVER. "WEEKLY WISHLIST – VINTAGE STYLE ME"
"PARTY WITH REPUBLIC AT THE TRAFFORD CENTRE!"